Registrations of new vehicles in Italy fell 9.6 percent in March to 193,662, according to the country’s Ministry of Infrastructure and Transport. Although March had one less selling day than a year ago, much of the blame was attributed to a loss in consumer confidence. Demand from private customers slipped 1.2 percent after four consecutive months of growth, according to market researcher Dataforce. Sales to companies declined 7.3 percent, and those to long-term rentals were down 7.7 percent. Both deliveries to short-term rental fleets and self-registrations by dealers fell 18 percent. Self-registrations by automakers plunged 79 percent. 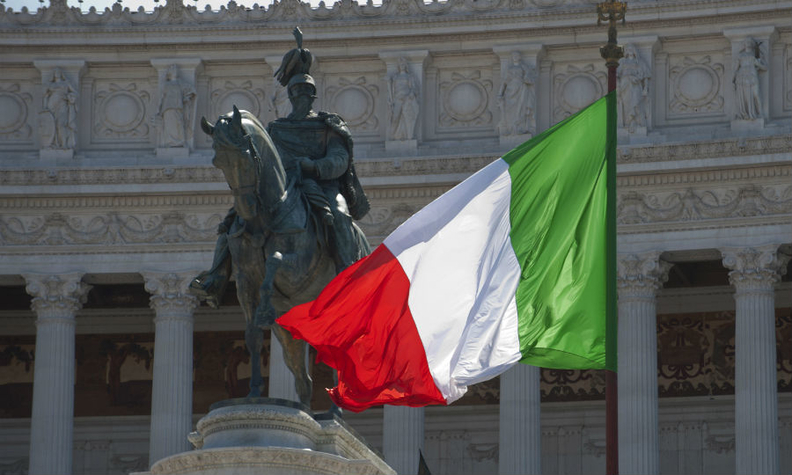 The 2019 Italian budget law introduced an additional purchase tax on vehicles emitting more than 160 g/km of carbon dioxide while granting incentives to cars emitting up to 90 g/km of CO2. While the tax kicked in March 1, the incentive has been delayed by the lack of an implementing decree. According to Dataforce, the CO2 measures had virtually no effect in March, as cars subject to the additional tax saw sales increase to just under 8,000 units, compared with under 5,000 in March 2018. Just over 1,000 low-emission vehicles were sold, down 20 percent from the same month of 2018. According to the Il Sole 24 Ore Italian daily business newspaper, the rise in deliveries of high-emission cars might derive from self-registrations by dealers. Paolo Scudieri, chairman of the industry association ANFIA, said the drop in overall demand has been triggered by a decline in consumer confidence, given the negative forecasts for Italy’s economy. The Organisation for Economic Co-operation and Development recently revised downward its growth forecast to minus 0.2 percent for 2019, Scudieri said. According to the importers association UNRAE, sales of diesel cars plummeted 25 percent to 87,811 with a 45.2 percent share of the Italian market in March, down from a 54.5 percent share in March 2018. Despite the decline, diesel was the best-selling engine type for the second consecutive month after falling behind gasoline in January. Registrations of gasoline cars rose 10 percent in March to 80,151 for a 41.2 percent share, up from 33.8 percent in 2018. The market share for cars powered by liquefied petroleum gas rose to 6.6 percent from 5.8 percent, while the share for vehicles powered by compressed natural gas slipped to 1.4 percent from 2.1 percent. Hybrid electric cars took a 5 percent share, up from 3.4 percent in March 2018. The plug-in hybrid share was stable at 0.2 percent, while the share for battery electric cars rose to 0.3 percent from 0.2 percent. Within FCA, Lancia posted the only positive result, up 15 percent. Its only model, the Ypsilon small car, was the second-most-popular vehicle, with 6,080 units sold. PSA Group topped foreign automakers in March despite an overall 2.8 percent decline in registrations. All three main PSA brands lost ground, with Opel sales down 1.2 percent, Citroen declining 2 percent and Peugeot suffering a 5.5 percent fall. PSA’s DS premium brand posted a 15 percent increase. Within the Volkswagen Group, VW brand registrations slipped 3.5 percent and Skoda 1.8 percent, while Seat sales rose 14 percent. The T-Roc small crossover was the most popular VW nameplate, with sales rising 76 percent and beating both the Polo small hatchback and the compact Golf. Audi registrations were down 3.6 percent, while Porsche gained 4.8 percent. Renault registrations were down 12 percent, while sales of sister brand Dacia jumped 81 percent. The Renault Clio small car and Dacia Duster compact SUV were the two best-selling vehicles among foreign automakers. The Clio suffered a 6.6 percent decline, while the Duster more than doubled sales. Ford deliveries were down 21 percent. Sales of both major South Korean brands declined — Hyundai by 14 percent and sister brand Kia by 7.5 percent. Nissan’s registrations plunged 33 percent while Japanese rival Toyota was down 0.7 percent. Sales of BMW and Mercedes-Benz both declined — by 2 percent and 16 percent, respectively. Dataforce lowered its forecast for 2019 sales in Italy to 1.835 million units, a 3.9 percent decline from 2018.